Roche Holdings (NASDAQ:RHHBY) is scheduled to announce its Q2 earnings on July 26. We don’t expect any significant growth in the company’s top line, as its key drug Rituxan will likely continue to face headwinds in Europe. However, the company’s new drugs – Tecentriq and Ocrevus – will likely lead the overall growth. In-Vitro Diagnostics will likely see moderate growth partly driven by Diabetes Care, which grew 5% in Q1. We have created an interactive dashboard ~ What Is The Outlook For Roche Holdings ~ on the company’s expected performance in 2018. You can adjust the revenue and margin drivers to see the impact on the company’s overall revenues, earnings, and price estimate. We expect Roche’s overall revenues to grow in mid-single digits in 2018, as it faces biosimilar competition for Rituxan in Europe. However, we expect Tecentriq and Ocrevus to do well in the near term. Both drugs have seen solid growth of late, and we expect this to continue in 2018. Tecentriq, which received the U.S. FDA approval in 2016, is used for the treatment of urothelial carcinoma, which accounts for more than 90% of all cases of bladder cancer. 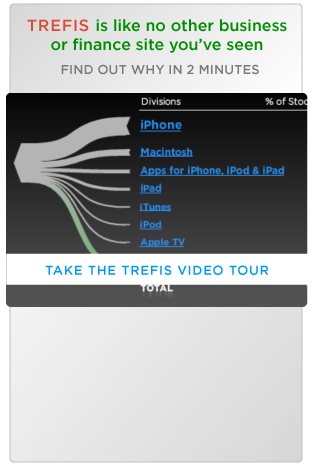 Thus, there is a huge opportunity for Tecentriq to grow its market share. Ocrevus was approved by the U.S. FDA last year for the treatment of relapsing and primary progressive forms of multiple sclerosis. The drug has been in the market only for few quarters, and it has seen a solid uptick in revenue with close to $500 million in Q1 sales. The drug will soon take in over $2 billion in annual sales while its peak sales are estimated to be north of $4 billion in the coming years. Among other drugs, Perjeta will likely do well in the near term along with Gazyva, both of which saw double digit growth in Q1. Apart from Oncology and Neuroscience, Roche’s other Pharmaceuticals segments will likely continue to face decline in the coming years, due to patent loss and expected competition from biosimilars. 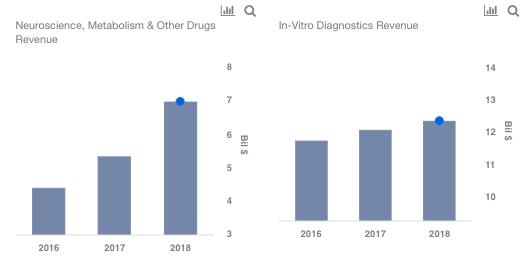 Looking at the company’s In-Vitro Diagnostics business, we expect growth to be in low single digits to a little over $12 billion in 2018. We expect the growth to be driven by emerging markets, including Latin America, Middle East, and Asia Pacific. While Japan saw a decline in Q1, the company expects the market to pick up in the coming quarters. Asia-Pacific in particular has been doing well with a low double digit growth in the previous quarter, and this trend will likely continue in the near term. However, we don’t expect any significant growth in this business for Roche, as there is stiff competition from the likes of Johnson & Johnson, and other players. Overall, we expect the company to post adjusted earnings of $2.10 in 2018. Our price estimate of $34 is based on a price to earnings multiple of 16x. Our price target implies a premium of 15% to the current market price.